The Architecture League of New York has picked the winners of its annual Emerging Voices Awards. Each the year the League chooses eight practitioners from the United States, Canada, and Mexico through an invited, juried portfolio competition. This year’s winners include three firms from Mexico. The rest are based on the East Coast of the U.S. The winners will be giving lectures about their work in New York City throughout the month of March. “Radical pragmatism.” That is the driving force behind Interface Studio Architects (ISA), said Brian Phillips, principal at the Philadelphia-based firm. For the past decade, ISA has been delivering design-forward residential projects with more personality than what you would typically find in the mid-level market. The challenge of creating these types of projects does not come from the design process itself, said Phillips; rather, in an age “where everyone has a budget,” it is in convincing clients—especially developers building for a younger generation of homebuyers—that good architecture is worth the investment. So far, it has been. 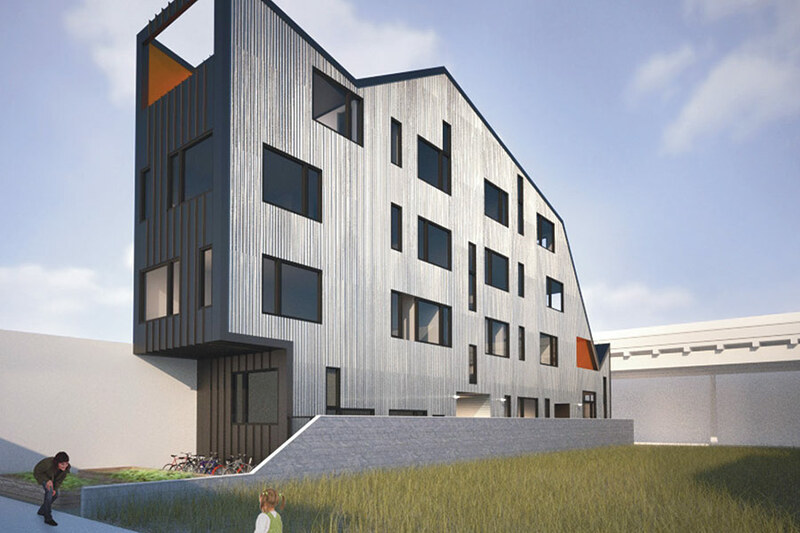 In Chicago, ISA’s Flexhouse development—a row of modern homes textured in horizontal gray bands—sold so well that it launched a sequel: Flexhouse 2. This project—31 densely packed row houses with bent facades—has also been selling fast. Both of these Chicago projects have their roots in the historic row houses of ISA’s home base, Philadelphia—a city that Phillips says is one part New York and one part Detroit. It is within this context—an East Coast, metropolitan city still plagued by vacant land and blight—that ISA has been completing unique, and often colorful work, at developer-friendly costs. Roxbury E+ Townhouses, Boston (left). 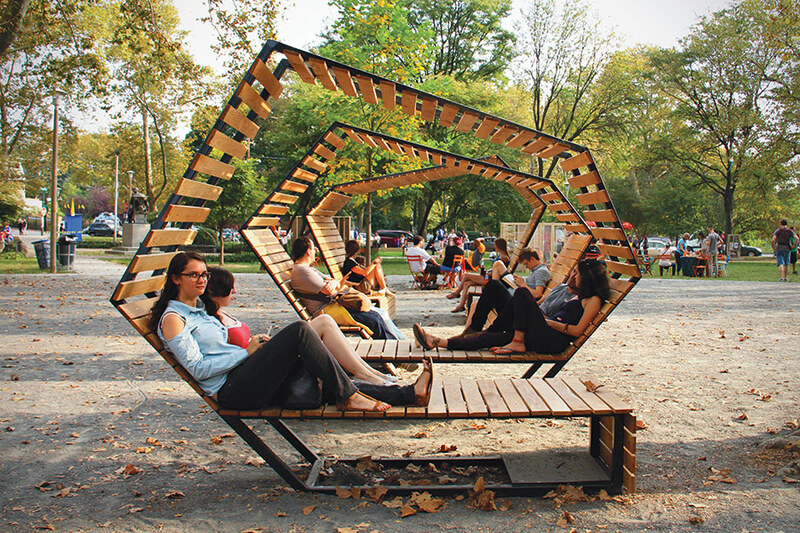 Looped In Bench, Philadelphia (right). 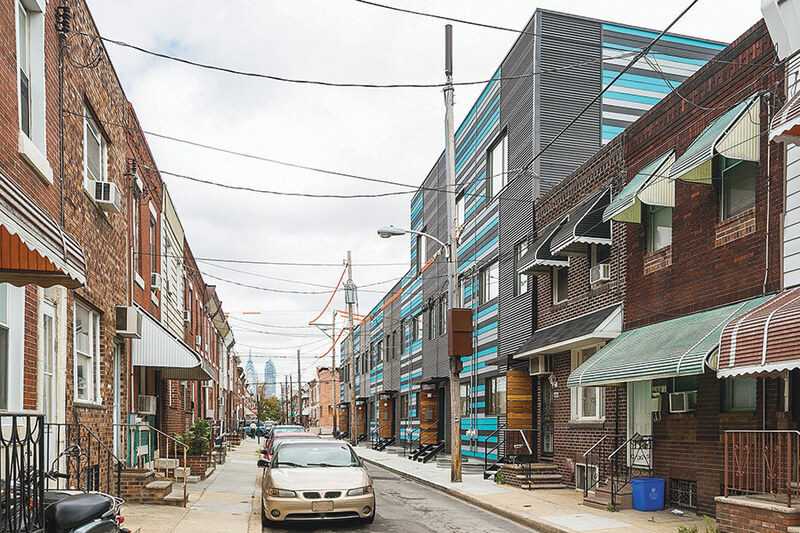 In South Philly, the firm designed a row of attached homes streaked with bands of turquoise to pay homage to the “aggressively eclectic awnings” of their neighbors. 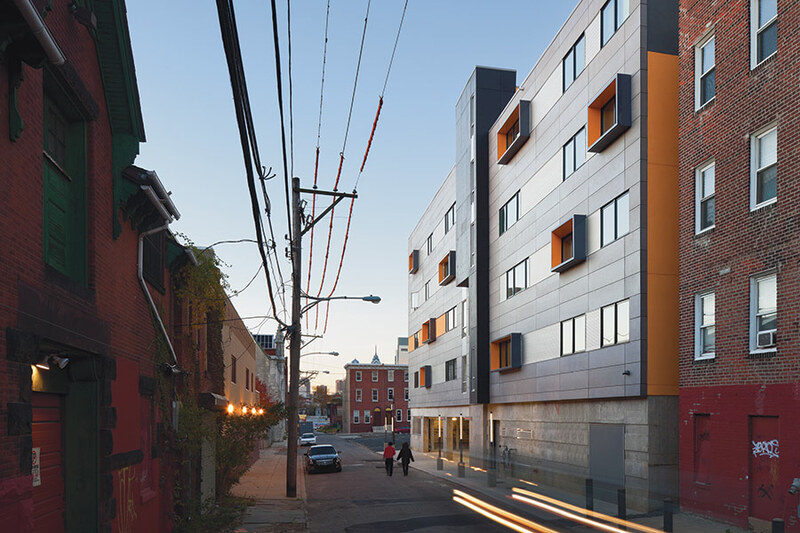 Near Temple University, ISA created an engaging 72-unit student housing facility that was made of 80 prefab boxes. The building’s mostly black and gray fiber cement facade acts as a rainscreen and has pops of color from prominent orange window frames that push through the structure’s exterior. Mass Logic supportive housing, Syracuse, NY. Left to right: El Chalet, Philadelphia; Renewbold, Philadelphia; The Modules Student Apartments, Philadelphia. 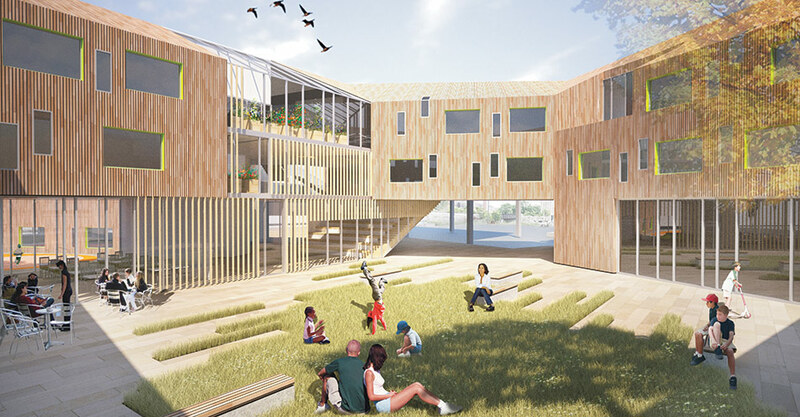 ISA has also worked with Postgreen Homes, an environmentally friendly developer, on 100K Houses, a project to prototype 1,000-square-foot, super-green homes that are affordable to those typically priced out of the “green” market. To date, ISA has completed seven such projects (17 individual homes) under the 100K brand. These residences are not just affordable and sustainably built, they are true pieces of architecture. 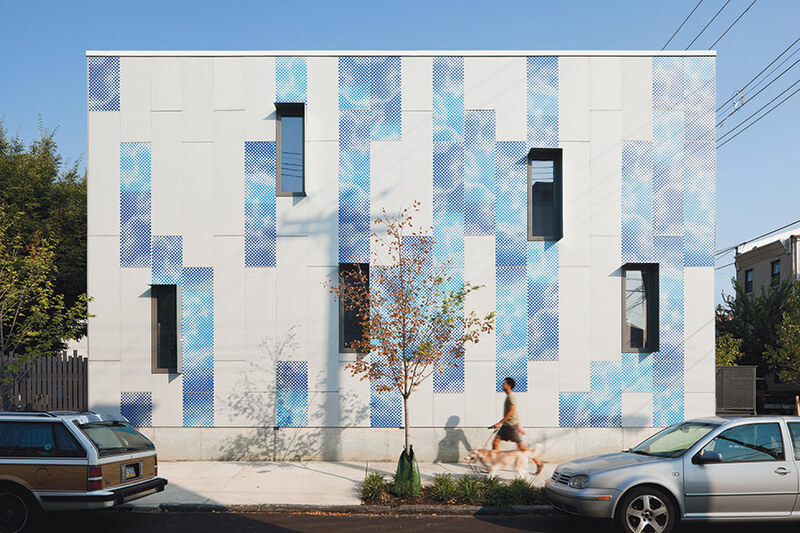 For one of the homes, ISA used supergraphic stencils to imprint images of the sky on top of a fiber-cement panel facade. To keep construction costs down overall, ISA finished part of the home’s interior in plywood. In the seas of mediocre new construction, ISA’s work may look radical, but to a developer—and to a building’s tenant—the results are ultimately quite pragmatic.